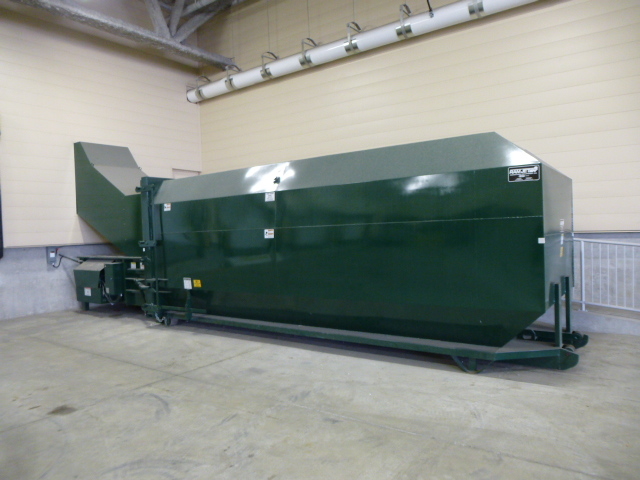 Stationary Compactors | AtSource Recycling Systems Inc. Stationary Compactors – AtSource Recycling Systems Inc.
AtSource Recycling Systems offer a diverse and wide selection of Stationary compactors to suite all commercial and medium industrial applications. Stationary compactors have a high compaction ratio effectively reducing solid material to a fraction of its original volume. 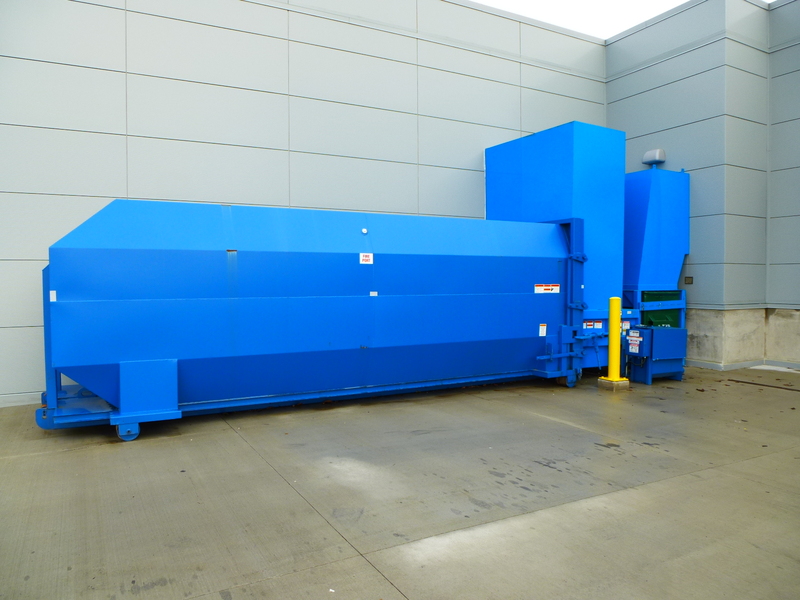 Utilized for both recycling and waste material, stationary compactors reduce disposal fees and labour expenses. The professionals at AtSource can determine the exact equipment needs for your project. 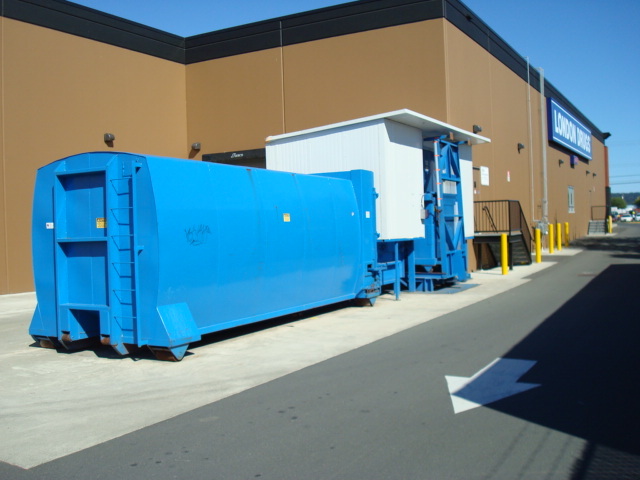 Stationary Compactors are designed and built with versatility and durability in mind and are ideal for a large variety of commercial and industrial situations. 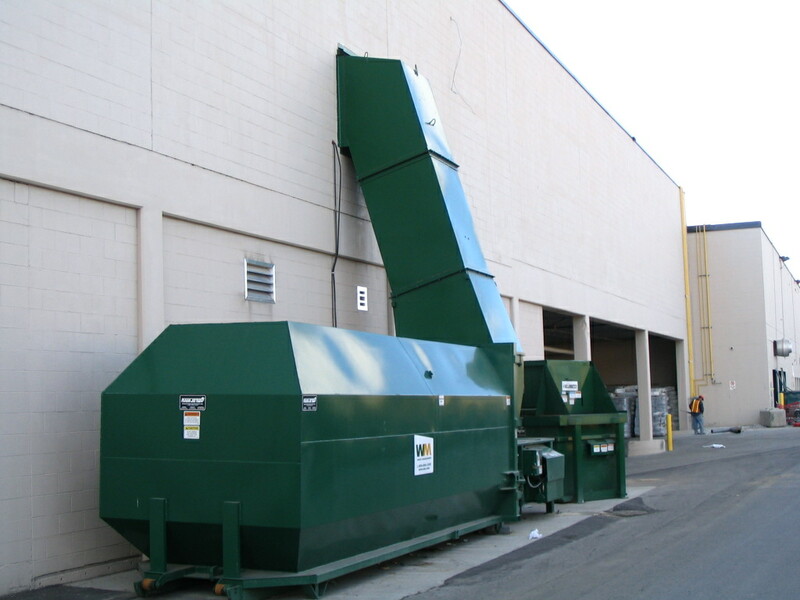 Stationary compactors are used in a variety of business’s to reduce waste and recycling expenses. For maximum labour savings and convenience, stationary compactors can be integrated into systems employing single or multi-story chutes, open or enclosed hoppers, air separators and cyclones or with one of a variety of cart dumper styles..
Pre-crushers reduce heavy shipping crates and barrels to a fraction of their original bulk. Extremely high reduction ratios are achieved offering substantial savings in hauling costs.